Dreamcatcher wall decal - The sacred Native American dreamcatcher used to prevent us from bad dream and nightmares. As the Native Americans believed, the night air is filled with dreams. 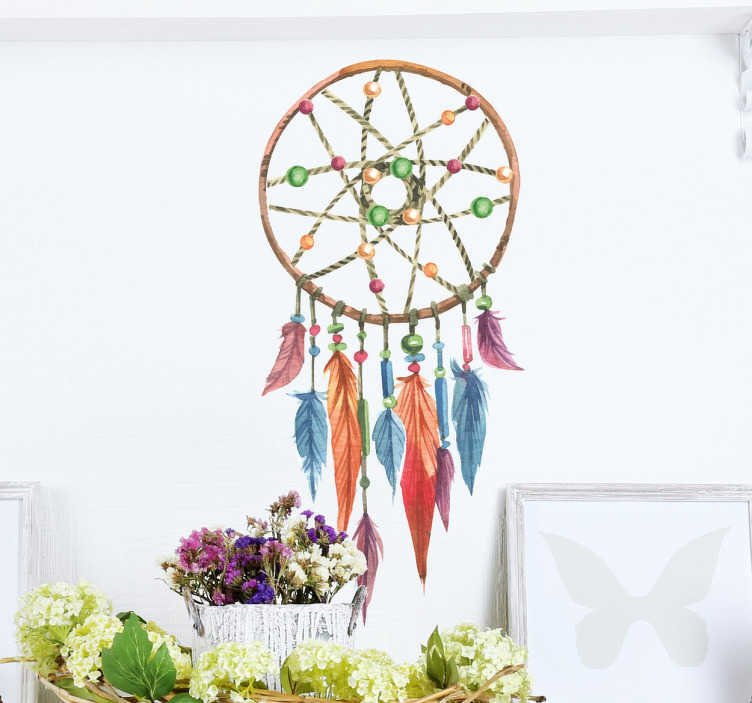 Place the dreamcatcher decal anywhere in your home to add decoration, however, we recommend using it where you sleep. The dreamcatcher is made from high quality, anti-bubble vinyl and is easy to apply.